Colonel Conk Large Sandalwood Beard Comb is handcrafted from 100% natural materials. Sandalwood is an ideal material for a comb, especially a beard comb. Lightweight and durable sandalwood teeth won't snap and break like plastic teeth. Our large comb gives you all the control you need to easily tame your beard. 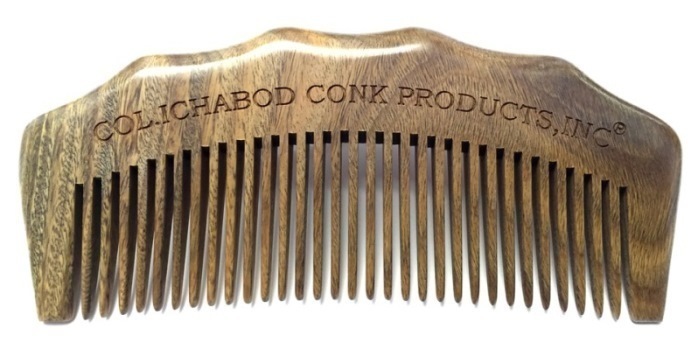 And, as with all of our combs, there's no annoying static! Wood grain and color will vary. Measures 4 3/4" x 2 ¼." Tooth length is 1 1/4" at the longest point.